I would like to receive occasional information and updates from 'Sei Solo' wine and jumblebee. La Folia is a Salisbury-based music charity that brings together instrumentalists, singers, actors, dancers, visual artists and writers to create new music, original projects and ground-breaking performances. One of the flagship projects of La Folia’s 2017-2018 season is named after the words written by Bach on the title page of his sonatas and partitas for violin: Sei Solo. La Folia has been given two bottles of Sei Solo wine, which has come from the winery of Spanish wine-maker Javier Zaccagnini. The Sei Solo wine is a tribute to Johann Sebastian Bach, Javier's favourite composer, with the handwriting of Bach’s original manuscript reproduced on the label of each bottle. La Folia is delighted to present two bottles of 2013 Sei Solo wine for auction. All money raised will go towards the Sei Solo project. The auction will close at 14:00 hours on Friday 8 December 2017. From January to June 2018, La Folia will work with students from Exeter House Special School. Through workshops and performance, pupils will express positive and negative emotion around being alone – a very present sense for these young students with a range of social, mental and physical health difficulties. Visiting professional solo musicians will reflect what one person can do in very positive terms, and knit the students’ new work into Bach’s 300 year-old repertoire. The first vintage to reach the market was 2011. The grapes are a real favourite of Javier, sourced from La Horra in Burgos, a village known for its structured, distinctive reds. The winery produces around 15,000 bottles in each vintage. Sei Solo (2,000 bottles) is produced from what Javier considers the ideal wine in terms of finesse, elegance, precision and balance. 13,000 bottles of Preludio de Sei Solo are then produced with the wine that remains. Both wines are single-varietal Tempranillo reds. 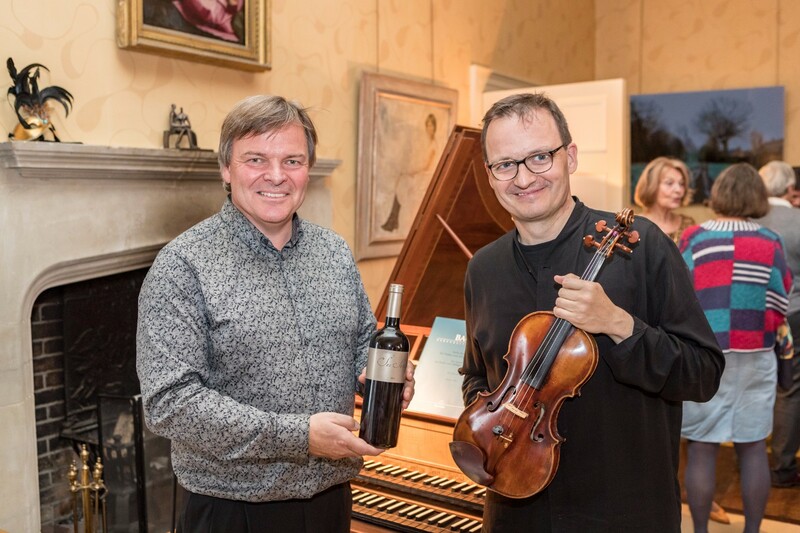 Pictured above: Howard Moody (La Folia Artistic Director and harpsichordist) and Jan Schmolck (violinist) at the Sei Solo launch event at Odstock Manor, 1 October 2017. Image by Adrian Harris.